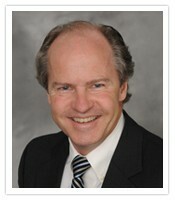 Joseph F. Burgoyne III is Director, Institutional and Retail Marketing, for The Options Industry Council (OIC). As such, he is responsible for supporting the institutional and retail educational programs. Additionally, Mr. Burgoyne serves as a staff instructor for OIC. Prior to assuming his present position, Mr. Burgoyne spent 30 years in the financial industry. He most recently served as Director of Business Development for derivative and data analysis company IVolatility.com where he successfully led marketing and advertising campaigns. Before that, he was Managing Director of Burgoyne Capital Management, LLC. Mr. Burgoyne’s other qualifications include leading the floor operations at the Philadelphia Stock Exchange for Van der Moolen Options USA and Tague Securities. His responsibilities included managing risk, making markets and the development of proprietary databases. Mr. Burgoyne attended Canisius College in Buffalo, New York.